The Brotherton Library (located in the Parkinson Building) contains the research collections for languages and the arts. The Special Collections Research Centre, including some of the UK's outstanding rare books and manuscripts, is based within the library. Read about disabled access. The Edward Boyle Library contains the research collections for science, engineering and social sciences, and the level 13 Research Hub for staff and postgraduates. 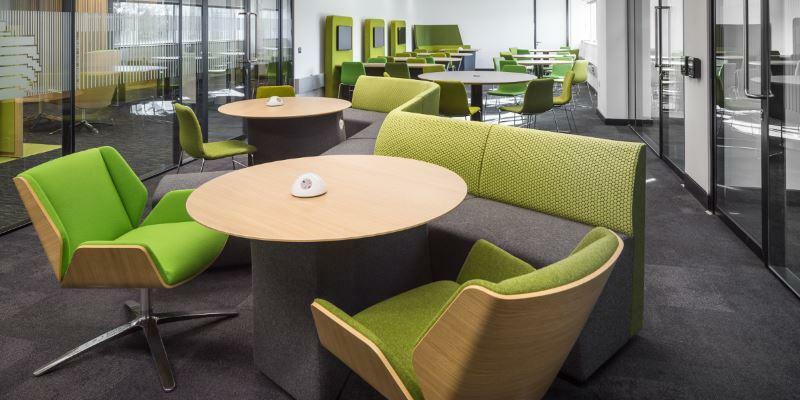 There are over 2,000 study spaces with bookable spaces for groups and individuals, and accessible student studies. Read about disabled access. The Health Sciences Library is on level 7 of the Worsley Building, close to the School of Medicine and Leeds General Infirmary. It contains the Library’s main medical and health-related collections. It has a silent and group study zones, timed access PCs, and a High Demand area. Read about disabled access. The Laidlaw Library is the library dedicated to undergraduates. It contains Core Texts and the High Demand Collection, and the Skills Zone, home to the Skills@Library service. It has over 900 study spaces, including facilities for group work, bookable space and accessible student studies. Read about disabled access. Based on level 3 of the Clinical Sciences building, St James’s University Hospital Library supports the information needs of University research and teaching staff, medical and healthcare students, and employees of the Leeds Teaching Hospitals Trust. Read about disabled access. Leeds University Library Galleries display art in The Stanley & Audrey Burton Gallery and artefacts in the Treasures of the Brotherton Gallery, from our Special Collections. Both galleries are in the Parkinson Building and are open to the public. Entrance is free. Read about disabled access. View tasks that can only be done in core hours. 30 minutes before closing time, floors 1 and 2 of the Brotherton Main Building close. 15 minutes before closing time the West Building and the computer cluster close. There is only access to the Main Building floors 3 and 4 in the last 15 minutes. Find out more about the Parkinson Court Café on the Great Food at Leeds website. There are silent study spaces throughout the Brotherton, including the main reading room and the West Building annex. The group study area is in the West Building on floor 3 and there is a group study room on floor 2 of the Main Building. Bottled water is allowed in the library. Please consume other food and drink outside or in the Parkinson Court café. If you leave the library for more than 30 minutes, please take your belongings with you. Special Collections is the home of hundreds of thousands of rare books, manuscripts, archives and art. 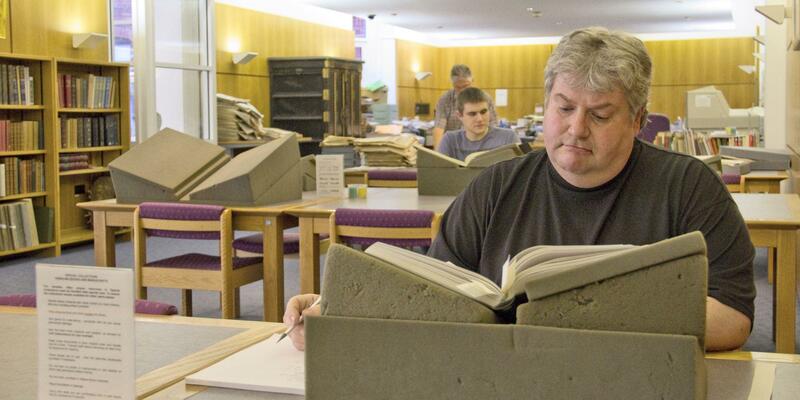 Our collections offer a rich resource for staff, students and the wider research community. The Special Collections Research Centre is on level 4 of the Brotherton Library, on the upper floor of the main reading room. Everyone is welcome to visit and use our Special Collections. Find out what you need to know about visiting, handling materials, and making use of our copying and digitisation services. A computer cluster with 61 computers is at the rear of the West Building on floor 3 (ground floor). There are 11 timed-access computers: five in the Main Building level 3, four in the West Building floor 3 and one on Main level 2. There are 26 guest computers are available throughout the library. See how many seats are currently availability in IT clusters on campus. Laptop loans are available in the West Building floor 3, near the group study area. IT Services provide more information on assistive technology and any adjustable furniture available in computer clusters. MyPrint devices are available in the West Building on floor 3. Each MyPrint device can print, copy, and scan. Buy printer credits in advance from the MyPrint portal. Otherwise, use the credit machines by the printers in the West Building. The microfilm and microfiche printer is in the link corridor between the Main and West buildings. More information about printing, copying and scanning is available from the University IT service. Read the Library's copyright information to check what you are allowed to copy. 45 minutes before closing time, level 8 closes. Staff start closing the library from level 13, working down to level 9. 15 minutes before closing time, the teaching computer clusters close. Find out more about the Edit Room on the Great Food at Leeds website. There are silent study areas on every level except level 9 (ground floor) and levels 11 and 12 are completely for individual silent study. There are group study areas on levels 8, 9 and 10. Level 13 is for postgraduates and research staff, and has a mix of silent and group spaces. Bottled water is allowed in the library. Please consume other food and drink outside or in the Edit Room café. Description: Rooms 9.1 – 9.3; Room 10.1. Accessible study rooms are on levels 9 and 10. They have a height-adjustable desk. phone with direct access to reception, PC, an ergonomic keyboard, tinted overlays, magnifying sheets, dimmable lights, book chair and whiteboard. Assistive software on the PC: Jaws, Zoom Text, Free Mind, Mind Genuis, Mind View, Quickscan, Read and Write. The rooms are for students who have a completed Assessment of Needs resulting in longer library loans. Rooms are available for 30 minutes per session. You may book a maximum of four sessions (2 hours) per day. Last booking time is one hour before closing. Description: Booths 8.7 – 8.12 (up to 4 people); Booths 9.4 and 9.5 (up to 6 people). Group booths are on levels 8 and 9 and have Air Media screen sharing, PC, large screen, HDMI and USB sockets. Group booths are for groups of three or more. Booths are available for one hour per session. You may book a maximum of two hours per day. Last booking time is one hour before closing. Description: Room 8.1 (up to 12 people); Rooms 8.2 and 8.3 (up to 7 people); Rooms 8.4-8.6 (up to 9 people). Group rooms are on level 8 and have whiteboards, AirMedia screen sharing, HDMI and USB sockets. Group rooms are for groups of three or more. Rooms are available for one hour per session. You may book a maximum of two hours per day. Last booking time is one hour before closing. Description: Room 13.13 (up to 6 people); Rooms 13.14, 13.16 and 13.17 (up to 8 people); Room 13.18 (up to 11 people); Rooms 13.19 and 13.20 (up to 9 people). Postgraduate group rooms are on level 13 and have whiteboards, AirMedia screen sharing, HDMI and USB sockets. One room has videoconferencing technology. Rooms are available for 1 hour per session. Postgraduate students may book a maximum of two sessions (2 hours) per day, ten bookings per week (up to 20 hours). Rooms are for groups of three or more. Individual rooms are on level 13 in the Research Hub and have a PC. Rooms are available for 1 hour per session. Postgraduate students may book a maximum of four sessions (4 hours) per day, ten bookings per week (up to 40 hours). Research event rooms are on level 13 in the Research Hub and have a lectern, projection screen, HDMI, lecture capture PC and a sound system. Staff and research postgraduates may contact the Research Support Team to book a room. 139 computers are positioned throughout the Library. In addition, there are 28 timed-access computers on levels 9 and 10, and 2 guest computers for external visitors. 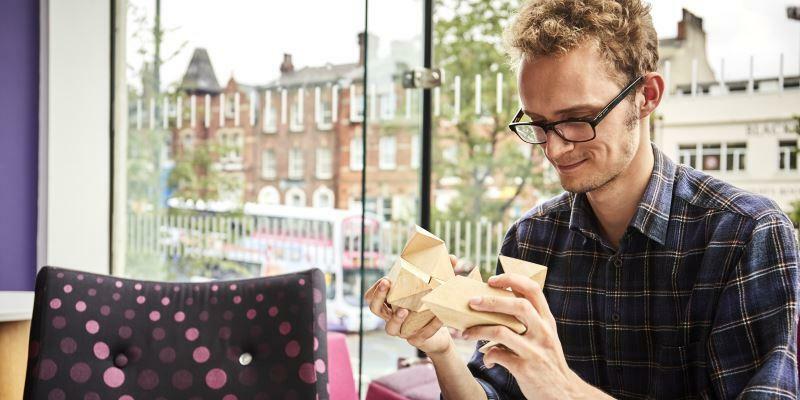 The Student Education Service provide a list of free to use software, apps and online tools for students, which includes assistive technology resources. Print zones are on all floors. Each MyPrint device can print, copy and scan. Buy printer credits in advance from the MyPrint portal. Otherwise, use the MyPrint credit machines, which are by the laptop lockers on level 9. 15 minutes before closing time the photocopying room and the training rooms (computer clusters) close. Access after 6.30pm and at weekends is through the Level 7 entrance only. Go via the sustainable garden and along the walkway beside the Garstang Building. Scan your ID card to enter or press the intercom button for library help. There is no access to the Library from Clarendon Wing or Clarendon Way. The main room of the Health Sciences Library is dedicated to silent study, with the exception of two small group study rooms and the Wolfson group study room. The majority of the group study spaces are in the large room to the left of the main entrance. Bottled water is allowed in the library. Please consume other food and drink outside in Café Seven. 24 computers are available in the group study area; 36 are available in the training rooms. There are also 24 public computers throughout the main room. Laptop loans are available in the main room by the group study rooms. MyPrint devices are available in the main room as well as in the group study area. Each MyPrint device can print, copy and scan. Buy printer credits in advance from the MyPrint portal. Otherwise, use the credit machines near the Library enquiry desk. 30 minutes before closing time, all the group rooms will be locked. 15 minutes before closing time, staff begin to close the rest of the building, starting on floor 3. Find out more about Caffè Nero on the Great Food at Leeds website. The Laidlaw Library has 900 study spaces with flexible group study areas, 20 bookable group work rooms and booths, and silent study spaces. Silent study spaces are available on levels 1, 2 and 3. Group study rooms, booths and areas are on all levels. Bottled water is allowed in the library. Please consume other food and drink outside. Accessible study room 1 is on floor 2 and room 2 is on floor 3. They have a height-adjustable desk, PC, large letter keyboard, tinted overlays, magnifying sheets, dimmable lights, book stand and whiteboard. Assistive software on the PC: Jaws, Zoom Text, Mind View, Read and Write, Naturally Dragon Speaking (room 2 only). Description: Booths 9 – 12, 14 – 18 (up to 8 people); Booth 13 (up to 5 people). Group booths 9-14 are on floor 1, booths 15-18 are on floor 2. They have Air Media screen sharing, PC, large screen, HDMI and USB sockets. Description: Rooms 1 to 6 (up to 8 people); Rooms 7 and 8 (up to 6 people). Group rooms 1-6 are on the ground floor, room 7 is on floor 2 and room 8 is on floor 3. They have whiteboards, AirMedia screen sharing, HDMI and USB sockets. The Skills Zone on level 1 of the Laidlaw Library is home to the Skills@Library service and a place for taught students to develop academic skills. This is where workshops take place, as well as drop-in sessions and 1-2-1 appointments with learning advisors. The Skills Collection has books on every academic skills topic to consult in the library or take out on loan. 180 computers, and 14 timed-access computers, are available throughout the Laidlaw Library. Laptop loans are available on the ground floor. Buy printer credits in advance from the MyPrint portal. Otherwise, use the credit machines by the stairs on the ground floor. The St James’s University Hospital Library is mostly silent study. There is one group study room, which can also be booked out as a teaching room at the enquiry desk. There is a MyPrint device in the photocopying room which is connected to the university computers. You can print, copy and scan. Both NHS and University staff and students can use the MyPrint device. Buy printer credits in advance from the MyPrint portal. There are no MyPrint credit machines in the library. However, if you are using an NHS computer, it will be connected to an NHS networked secure printer in the library. It prints black and white only and print costs are charged to your departmental account. More information about printing, copying and scanning, including charges, is available from the University IT service. The Stanley & Audrey Burton Gallery and the Treasures of the Brotherton Gallery have the same opening hours. Closed Sundays, bank holidays and University closure days.